There are millions of people who are blogging on different-different topics. They have different reasons for blogging. Few people just blog because they like it and they have passion for it, few blog for making money, few do it for promoting their business, etc. I have started blogging just because I like to share the knowledge what I have. But now I am noticing tremendous benefits of blogging as it is changing my way of thinking, my attitude and many more thing. 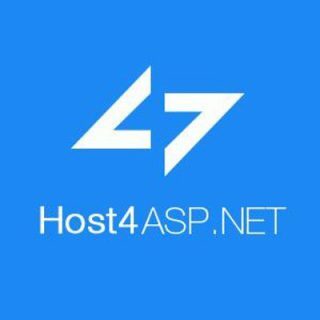 I want to share with you all about the benefit from it, This post will give answers to a lot of questions which are still in minds of thousand of people. 1. Improves The Writing Skill: – The most important part of blogging is writing the content, you need to be a good writer to become a successful blogger. However if you are not a good writer, you always try to write the content in a way that your readers can understand easily. 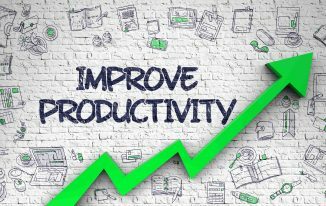 To achieve this you do lots of practice before writing the content and keep on reading your sentences again and again. In this way gradually you will start feeling the difference in your writing skills, you will get gradual improvement in your writing. 2. Enhance Your Knowledge:- I personally believe that this is one of the most beneficial things you get from blogging, i.e The Knowledge. If you are blogging on a specific niche then you might want to research the same niche blogs and keep on reading for getting more exposure on it. Also you keep on researching and reading other site for getting ideas for you next post which improves your knowledge day by day. 3. Name And Fame:- If you are continuously providing quality posts and new ideas to your readers then you can see so many people start following you and your blog. They willing to know about you, about your success story and all. This way you establish your name in blogosphere and become famous. I am giving you an example of a successful blogger, Onibalusi Bamedele, a poor guy who made it possible by his hard work. Initially he was a poor fatherless kid but after 14 months of hard work he became too much famous and known as guest blogging king. He got the name and fame through blogging. 4. Motivation:- Blogging always motivate to do something new. I think every one has to face a situation when they feel down in inspiration and motivation. But if you think about you’re the readers who really like you and your blog then it gives you the motivation to do something. I am a normal person and I commit that I too felt frustration at times but honestly telling you after I started blogging seriously I never got frustration, never looked back and just keep on moving ahead. If anytime I feel lonely I just sit in front of my laptop and start writing post for my blog. Blogging surely reduces my stress. 5. Connects You With Famous Bloggers:- Blogging has its own world which is called blogosphere. You may not be aware in your infancy of blogging but as you keep on researching you will come to know about the potential bloggers in your niche. Connecting with famous and great bloggers always give you benefits in terms of motivation and knowledge. 6. It Makes You Earn:- The world’s most important thing “Money”, is also there in blogging. You can can earn a lot from blogging. There are many ways to earn from it such as PPC advertisement programs, Affiliate marketing, selling ad space on your blog etc. 7. It Can Make You As Your Own Boss:- As you read in previous point that you can earn by blogging so that you can leave your 9 to 5 job and become your own boss. But its not as easy as it seems but its possible with blogging, Just need to do hard work in smarter ways. Believe me by blogging you can make millions. These days bloggers are making thousands of Dollars by affiliate marketing, PPC ads, Paid Content writing, selling ad space on their blog etc. 8. Confidence: – This is one of the biggest benefit.It gives you the confidence which you need to get success in your life. When your readers appreciate your views and posts, you will feel proud and motivated. It improves confidence gradually. Personally I too believe that it improves Confidence level. Even I am feeling my self more confident person now. I think, Atish, a blogger is much better than the old “Atish“, Yes I became much better after started blogging and developed so much confidence. !So what are you waiting for. Start blogging and keep rocking! You nailed it. Blogging can change your life: give you freedom from whatever. I exceptionally like the possibility to define your career from blogging.. Thanks a lot for this reply @Ikenna. every day while blogging we acquire some new knowledge & for commenting we explore web and many time we found really must read things on web……. Yes Gopal blogging is giving so much knowledge to us. As always, Great Post Atish.. I like the way you compiled things together. Keep it up :). Not only that it makes you things remembered. Whenever I find something which I can forget I write it that as a blog and I will never forget that and in case you forget some old things you can just recall it from blog. Moreover if you forget and then recall it, the quality of recalling defines the quality of blog post. yes Ifhan, this is one of the desire to be my own boss. atleast we don’t need to listen to anyone. I’m searching some U.S blog posting sites could anyone can provide me. I could say i did open up,can express my thoughts and started earning through blogging!Great article atish. Thanks Shashank. Blogging is the best job. As you can start earning my sharing your own thoughts. Also, I love this because You can put up all of your skills here. If you are working any where then you need to do a particular thing only but in here in blogging we can put up our whole knowledge without any restrictions. I agree with you Atish. These blogging tips can help us to get a best blogger.. One most important formula for getting success in blogging. Being Own Boss is the Best thing. Blogging also keep yourself aware of current happenings in the world. Among the 8 blogging tips I like the #8 since you talk there about confidence. Thanks for the posst ! You are welcome M.Pinto. Thanks for leaving your precious comment on My blog. Nice Post man. There so many benefits are there of blogging. You points are solid. I too love to blog. thanks for the sharing. blogging definitely has a lot of benefits, im happy to have realized the power of it. Thanks Fazal For your nice comment. yes blogging has a huge number of benefits. This is an article written for beginners. I think you could find the answers for these questions. You can also get a free report for deep information about blogging if you wish. Excellent tips. By the way, blogging is also a proven stress buster. Naser @ Best Tips For Blogging recently posted…How to use Google Adwords in Keyword Research? 9) it makes you famous. i know many people got publicity with good blogging. Another important benefit of blogging is that it increases your leadership capabilities (of course this applies to those blogs that have more than 2 or 3 content writers and you are the “editor-in-charge”). You’ll learn how to manage a crew, how to build up the relationship between your teammates, how to better communicate and share your vision and, overall, how to be a better “captain”. You’ve shared great insights about blogging. Blogging takes a lot of time, commitment and effort. You are right, a lot of people blog for different reasons. and no matter what those reasons are, bloggers contribute a lot on how free information is shared over the internet, and that is something that they should be happy about. 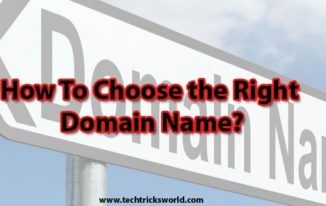 Here you talked of earning money with blogging and I have a prolonged question about it stuck into my mind that if we get a free sub-domain blog like on WordPress then can we use Google Adsense on it? As far as I concern you cannot use adsense on .wordpress blogs. if you want to use adsense on free blogs then try blogger.com.. that will be too good. By the way thanks for your comment here Angel. The best benefit of blogging you earn while learning. I have learned so much in these few years and i am sure so have you. effective post. LOve it. superb amazing. thanks . every word you wrote in the post is true. Thanks Reetika for your kind words. Atish Ranjan i thing for sure that our writing skills will improve. Also our information increases and the best part i like is that we make new friends all around the world. 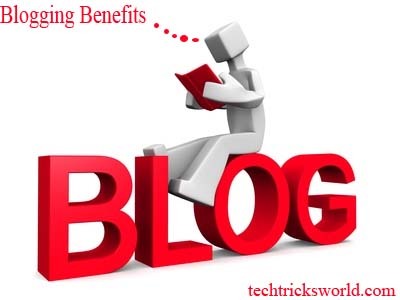 You have consolidated all the possible blogging benefits Atish! Agree with you that the writing skill, confidence, motivation n knowledge, all can be improved by blogging. Writing clearly with your simple language makes me to read all your posts. Yes! I’ll do it. Thanks for writing such a nice information, keep doing it at least for your readers like me. Thanks for your comment Nirmala. Hope you will follow the tips. We can get many benefits doing a blog. That’s why I also do a blog. 🙂 However, this is a nice post. But most bloggers do a blog for only making money. That’s why most bloggers fail in blogging. Raplus recently posted…Hostgator 25 OFF Discount Code – Why should you use Hostgator? every one needs money and there is nothing bad in making money from blogging but yes you need to be passionate towards your work. Money will flow naturally. Apart from enhancing the writing skill and confidence, it works magic for me to forget about the personal struggles. I feel that I cannot live without blogging as it is mixed with my blood. Thanks for your views Nirmala. Really these are the actually benefits of blogging. The reasons why people enter into blogging is what you said above. Surely this post has facts like getting popular, improving skills like reading, typing and language. And also we learn how to manage time perfectly. Thanks for sharing. Tharun recently posted…How to Get Dofollow Backlink From Facebook PR 9 Site? I agree your points as well as blogging also improve our thinking which lead to us to a bright future. Thanks for the comment krishnan. I am sorry I missed this wonderful post. Its really a great joy to know the many benefits blogging! Of course I am enjoying some of it already 🙂 But the rest too is important. time and energy goes out and the time with our dear ones to will diminish. Hey where to control this is a big question with many of the bloggers!! Yes it has tremendous benefits. I don’t think that putting time and end energy into it is a disadavantage rather I think, “”To reach a level you have to work hard and sacrifice a lot of things. Keep coming to my blog! Let us strive for that. Yes Mate. Thanks for coming by again and again. Really a great article. I completely agree with you that Blogging has several advantage. Blogging is the effective way by which we can exchange our thoughts with other bloggers. Blogging also helps us to monetise our blog. Your post will surely motivate to those who really want to come to the blogging profession. Thanks for reading my old post Swapnadip. All I can say is blogging is awesome. Nice post and I am totally agree with you that blogging helps us in enhancing our knowledge and also improve our writing skills. We can also make money with blogging and this is the big reason why many newbies start blogging these days. Thanks for sharing this post with us. 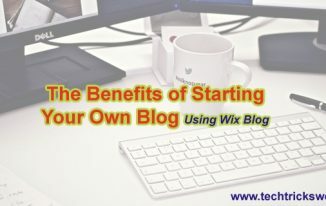 Nice post and Yes, blogging helps us in enhancing our knowledge and also improves our writing skill. We can also make money with blogging and it is the most important factor which attracts many people to start blogging. This fact is true that there are many benefits of blogging. It helped me in improving my writing skills and earning few bucks for my pocket money. Really these are the great benefits for bloggers. I’m also blogging to be own boss. i don’t like to work for others.